Update: 2014 – I no longer recommend Site Build It!. If you’re feeling discouraged about the lack of success with your website, there’s nothing like gaining a bit of inspiration from someone else’s story. And it’s even more inspiring when the person triumphs after nearly quitting due to frustration with the slow rate of success. If you didn’t get a chance to watch Carl’s Google Hangout last Thursday, you missed a treat. The video is fairly long, and many of you told me you didn’t have time to watch, so I wanted to summarize some of the lessons you can utilize to help improve your own site. Carl is an air traffic controller by day and Webmaster of DadsGuidetoWDW.com by night, who is looking to retire soon. So what can you learn from Carl? Carl’s site is not a blog. It’s a traditional information website where the content is organized by tiers. He mentioned that one of his category pages has an incredibly good bounce rate, and he credits it to his site structure. A bounce is the percentage of people who leave your site after viewing the page they entered on. Reporting tools like Google Analytics reveal this statistic in your reports. The lower your bounce rate, the better. So what the heck does all that mean? The menu items are links to your Tier 2 landing pages that contain additional information that support the menu item categories. 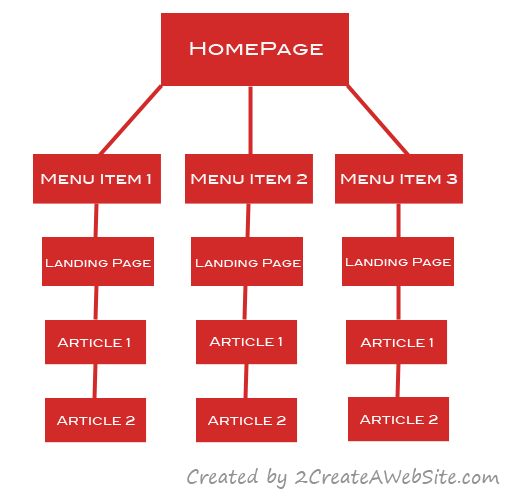 And the articles would be your Tier 3 pages that link from the Tier 2 (landing) pages. If your site is more informational/educational and you don’t want a blog-like content structure (posts sorted by date and category), this an ideal way to organize your content to help guide people through your site and encourage them to read more content. He studies his stats and noticed people often return to his landing pages to reference the links there. So not only do these pages yield a lower bounce rate, but they generate repeat visits due to the fact people often reference such pages. If you use WordPress, you’ll need to tweak a few things to achieve this organization, but it’s very simple to setup. Link your main navigation to landing pages instead of Categories. 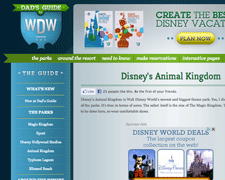 The landing page should provide additional content and links that support the menu links. To change your menu in WordPress, simply create your own custom menu by going to Appearance >> Menu. Now link to the Tier 2 landing pages you’ve created to help establish a better content funnel. The great thing about WordPress is you can make use of both the static and dynamic content organization when appropriate. Take Home: Static pages and a logical content structure are useful for helping your visitors find important content that could improve your bounce rate and overall conversions. This setup may not be ideal for every kind of site, but it certainly makes sense in certain cases — even if that means using the silo structure only on parts of your site. During the live Hangout, someone asked how long before Carl received a certain amount of traffic. Sensing the person was trying to use his traffic numbers as a benchmark for their own, Carl didn’t hesitate to point out that traffic varies greatly due to the niche, site, etc. Take Home: You can’t use someone else’s numbers to estimate your site’s potential success. Every niche is different and there are just too many different variables involved to compare. I was glad he pointed that out, because I get that question a lot as well. Carl knew he could never compete with any of the competitive Disney keywords because Google now heavily favors brands more than ever. He would need a ton of high quality backlinks to compete on that level. So he was very smart to go for the longtail keywords that are less competitive. That’s where the majority of his search engine traffic comes from. He may not ever rank well for Disney World Hotels (this search phrase is heavily dominated by big brands), but as you can see, he ranks very well for best time to visit Disney World. Take Home: Longtail keywords don’t get as many searches, but they are easier to rank for. And even though you may not get as much traffic, it adds up when you start getting found for numerous longtail phrases. This is a strategy newbies often miss when starting their sites and trying to build search engine traffic. Carl discovered he was getting traffic from some keywords related to the Disney crowds. So he used that information to build more content around those phrases. I use this strategy all the time. If you notice you’re getting traffic from a particular keyword you may not have been necessarily targeting, look for opportunities to create more content around that phrase, variations and related keywords. Take Home: Studying your keyword referral reports can provide a lot of content inspiration. I really like one of Carl’s engagement strategies. He invites his fans to send him pictures and then uploads them as his Cover photo on a daily basis. You can check out his page here. Notice how great his overall interaction is. Carl also made a solid point about using Facebook to support your site, instead of using it as your main hub. Many people neglect their sites for social media instead of using it to drive people back to content they truly own. And some people don’t even have websites. They rely completely on social media. Remember, you don’t technically own your Facebook page. So if you were to ever lose it due to some Facebook violation for example, what would happen to your business? Would it survive? Take Home: Take advantage of the accessibility and popularity of social media, but also use it to drive people back to your site and convert sales. This is not an anti-Twitter tip, but I want to take the opportunity to emphasize something. A lot of people feel obligated to master Twitter because it’s so popular today. If you can find a way to utilize it for your business, then go for it because it can be very useful for generating traffic, leads, etc. But if you aren’t getting anything from it, focus on what works and don’t waste time on something that doesn’t. In Carl’s case, he found that Facebook yields better results, so that’s where he focuses his social media marketing efforts. Take Home: Test, test, re-test and learn to prioritize your time based on what you know works best for your business. Carl admitted that his first year (2008) was tough. By the start of his second year, he was earning roughly $30 per month. He became quite frustrated, and even put his site up for sale because he felt it should have been making much more by that time. How many of you can relate to that feeling? It’s easy to get sidetracked by comparing your site to others, or maybe you assumed the money would come a lot faster. If you’re finding yourself in that place, Carl’s been there too. Nevertheless, he decided to keep building in 2009 and it paid off as time went on. January, 2013 was a record month in terms of traffic for his site. Take Home: When the going gets tough, keep working hard. Rome wasn’t built in a day, and neither are successful websites. Learn more about Site Build It! (not an affiliate link) — the system Carl uses to create and maintain his site. Strange. It says your email is not subscribed to any posts. Are you sure the email you used to post this is the same one that’s getting the notifications? Also, you can unsubscribe by following the instructions in the email too. That was great inspiring story of Carl. Just checked his facebook page, it was getting frequent wall post with images. Really, that is great way to keep engage our readers. i really need to try this long keywords technique. So many useful things that could be learned form this case study. There are many ways to make money online, but from my point of view, I consider that starting a website covering a topic we are passionate about is the best way to keep yourself motivated. In addition, we don’t have to be programming gurus to see positive results and to create a community around our site. I really enjoyed this article. It is concise and straight to the point. First of all, yes because developing a website takes so much time you could get very discouraged the first few years when the results are not what you would expect. But you have to keep plugging away at it. But I think one more thing has to be said about that. When I first started developing website I developed sites with the premise of creating a lot of websites at one time with long tail keywords and adding adsense to earn money. I can’t say that is the best way to build a business these days. I am glad to hear that this person stayed with one website and just kept adding to it over the years building its credibility. This is the best way to build a web presence. Not building multiple sites and not adding any new info as time passes. Hi Lisa, thank you for this very useful analysis and story. Great post about long tail keywords. I try my best to target long tail keywords because the :big companies” will always win for those keywords. You will be surprised at how much traffic 1,000 different keywords will bring to your website. more traffic than chasing after ten competitive words. I love these inspirational stories there has been many a time where I have thought about giving up but with every failed website I learn something new. This article has really inspired me. Even though it hasn’t been a year since I started my blog, I thought I would have more traffic and the money flying in. I see now it is baby steps, and I need to be grateful for every milestone and accomplishment. Thanks for the article Lisa. This case study is excellent. By the way, i took a tour into the Dad’s guide to Disney and i have been surprised he has a lots of NOFOLLOW tags on his internal links. I know it because i use a “nofollow” extension in Google chrome that highlights nofollow links on a page. It is interesting because sometimes ago Matt Cutts said that a “nofollow” internal link counted as a normal link. So, Karl should have lost lots of google juice on his pages since he has lots of nofollow. However, it does not look like that. Homepage is PR3 and the second level is PR2. 3rd level is PR1. It is very logical. Carl did a very advanced job of Link sculpting and it is impressive. I also learn from you and Carl something important. Homepage should contain good content. On the other hand, i think Blog homepage is bad because it does not really contain original content. Content is often an excerpt from post pages. It is a shame not to use the pagerank of a homepage since, in general, the homepage of a website is the highest as compared to any other pages. I completely agree about the homepage. I know a lot of people think you should feature your latest posts because it looks fresh but I don’t think displaying the latest list of content is a good way to real people in. They need to know who you are and how your site can help them. That’s interesting about the nofollow on the internal links! I wonder what his thought process was on that. Maybe he’ll see this comment and reply. I never use nofollow if I’m linking to my own pages within my site. I have just watch the video. Thanks for the share. Another great thing about his site is that he has widgets (his vacation planner) that makes his site look very legit and extremely knowledgeable. However, I think his site’s structure is his biggest asset, aside from his great content. I have just watched the video, what a story! Thank you for sharing it with us(and explain all this good tips of course). This is exciting. I like how you showed us the tiered hierarchy and want to consider it for my own site. Lisa, Congrats on your fantastic website. One question, while doing research on the longtail keyword and to understand this better, I looked up the keyword – “best time to visit Disney World” on Google keyword tool. The global monthly searches for this keyword are 14,800. A very small percentage of these would actually click on DadsGuidetoWDW.com link on google search results. (this is listed on 6th position). Just for discussion sake if this is 1% (I may be absolutely wrong here) then it is 148 visits to DadsGuidetoWDW.com, which is just 0.07% of 200,000 visits per month. I read your remarks that all these all this adds up , but .07% is really very small, so how does this help. I must be missing something here , would appreciate your inputs on this. One of my sites has keywords that get very small numbers in monthly searches, but the COLLECTIVE traffic from all the keywords is what adds up. Also, Carl never said that the majority of his traffic is from SEO. He also drives traffic through Facebook and other avenues. I highly doubt it’s all SEO traffic. I get lots of traffic from lots of places, but most of it (around 65%) comes from organic search (SEO). The reason I use “the best time to visit Disney World” as an example is because for over a year it has been my number one traffic page averaging over 15,000 views per month (around 6.5% of my overall traffic) 90% of those coming from Google organic search. I’ve ranked anywhere from 1-3 (3 is as low as I’ve seen) for that keyword, but it’s not just that keyword. It’s also “the best times to visit Disney World”, “the cheapest time to visit Disney World”, “the best time to go to Disney World” and more. I’ve found that the Google Keyword Tool is not always accurate in predicting traffic. Sometimes you have to go with your gut or what you find works. That’s what I did. Great to see you here, Carl. I agree with going with your gut. I feel that people obsess too much over keyword tools. Lisa, I don’t understand something: I watched the video and Carl says that he paid a web designer quite a bit of money to design his site. It’s a long video, so correct me if I’m wrong, but I’m sure I heard him say that he actually paid a certain designer / developer one or two thousand dollars to design it, if I’m not mistaken. But then you say that he used SBI. I heard Carl say the he handles all the content himself but, as stated, the framework of his current site was contracted out to someone who was not affiliated with SBI. I don’t think I ever heard Carl mention SBI in the video, not even once, and it’s an hour long. Did I miss something? Could you please explain the contradiction, thank you. LOL, no you got it right. He uses SBI! but didn’t want to use their templates so he hired someone to do a custom design. I also don’t use their templates and built my site myself. You can check domain records, his site is certainly hosted with SBI!. I am now really interested in site build it. I will check this out more. It is one of the best looking site build it sites that I have seen so far (besides yours) I thought that the majority of the sites had an unpolished look and I didn’t want to look into it because I am just a beginner web designer. That’s true Lisa, Rome wasn’t built in a day. So whoever is going into blogging or internet marketing hoping to hit it big and become a millionaire overnight is actually dreaming and living in fantasy. Just like an offline business, before you establish yourself as a brand and become successful, you have to work and work tirelessly. But the key to success is to try and try and never to give up. classic case of plugging away with one’s passion. do it long enough and something good will eventually happen. none of what was done is revolutionary, just the basic fundamentals applied consistently over time. anyone can do this in any niche and eventually carve out a small space for themselves. 8k likes on his FB page may not be the most in this niche, but is more than enough to show he has carved his space and has a following that believes in and values his work. I really feel if everyone just continued to plug away, time will eventually reward them with something nice. the question of course is – is all that time and effort worth the reward? if you look at it strictly financially, there may be more unfavorable instances than favorable. but if you are doing what you are passionate about, then one can argue that it is not really work – however it does take time away from other alternatives such as spending time with fam and friends, and that’s where the balancing act comes into play. Thanks Lisa for sharing. I was really inspired after watching the interview on YouTube. I am motivated to be patient while building an online business. I must say that I learned a lot from Carl. It is not easy to build a successful website, especially when you are trying to create unique content for your visitors. However, when you start to reap success and things start going the way want it to. Then there comes the big smile. Another great success story from a SBIer! I am pushed to work harder. how can I get the book Lisa? Really such an awesome post and got lots more tips to build my blog much better. Thank you by the way. Thank you Lisa, needed a boost this early morning, great read and inspiring. I would like to say, I am using that page structure in addition to a blog feed on the site. On my landing pages, I am linking to articles within the blog RSS feed, only the anchor text I use on the landing pages is different. So I have two bites of the cherry in terms of internal SEO. Thank you for this…I am a new online entrepreneur and I realize there is so much to learn still. Very inspiring story. It is definitely daunting especially in a competitive niche to stand out there. But like many others I’m willing to fight until I become a success. One thing is for sure for anyone who thinks website success is an overnight thing, they’re wrong. I value Carl’s strategies as I do Lisa’s. I absolutely love the information and will learn all I can. Hopefully one day I’ll become a success story too. Do you think you can elaborate on the tiered structure method by doing a video or writing a post about it? I would like to learn more about it and I don’t quite understand it yet. Thank you Lisa for the inspirational post. It gives me hope that if I keep at it I can have success with my blog. Right now I get very little traffic and am making no money. SiteSell told me about this interview but like others I wasn’t willing to give up so much of my time to watch it, so thank you Lisa for summarizing the key points. I’m doing a similar thing on my blog (different site to the one I’m linking my name to) about the MYSS! book I’m reading currently. I have to say Carl’s site is one of the most attractive SBI! sites I’ve seen – one of those sites where it’s not obvious that it’s been built with SBI!. The font size is a bit small though. Yes, the design is nice! I like the site and his ideas about using ads on his site. I am impressed about the way he is building the site. I used to be a sitebuildit member so all of what he said resonated with me. He is telling the truth about tier pages, action guide, and using you tier 2 page as a link to further pages into your site. You’re right this is a very inspiring story and no, rome wasn’t a weekend project. I wonder how much time he is spending on email marketing? Ranking for key words even if they are long tail keywords can still leave you vulnerable to search changes, right? Every keyword is vulnerable, that’s for sure. I was just making the point about not targeting so many competitive keywords. So needed to read this right now. I am having one of those days where I wonder if all this work is worth it. Thanks for reminding me that it is. I love his idea for a site! Glad he is doing well. And glad to learn from him. Glad I could inspire, Julie! Hang in there! Hi Lisa, the link to the video does not seem to be working. Can you check it, as I’d like to watch? Thanks — and thanks for this story! That’s odd! It’s working for me. Try going to http://www.youtube.com/sitesell and it’s there. Hi Lisa, thank you for this very useful analysis and story. I really like Carl’s work -especially his site structure. In fact, I think it would not be a bad idea to try this on my blog, because I still have that high bounce rate problem. I have a lot of work to do though. 😉 Thank you. This site contains malware,go back. What is going on? as it has been like this since yesterday and I have left you a message via a comment on your You Tube channel 2 Create A Website, as I have no way of contacting you or your forum staff. I tried other computers at different locations at my friends house and it’s exactly the same thing,so there is a problem with your website. Just thought I would let you know as I and other people cannot access your forum. It’s back up. A member had a link in their signature that went to a malware site. My forum was not impacted but the link was causing Google to put up an alert. I removed the link and deleted all the member’s posts and it’s back online now. Thanks! Thank you for your reply Lisa. I have just checked your forum and it’s now back online again. I hope you have banned the member who did it. I would if if was my forum. Not exactly. I didn’t exactly word that correctly. Their site was actually hacked and malware was injected so it wasn’t that they were intentionally linking to the malware site. But I did remove their signature and let them know so they cannot post links until the issue is resolved. I like the bit about studying where you get your traffic from, and then building it out from there. Great idea!